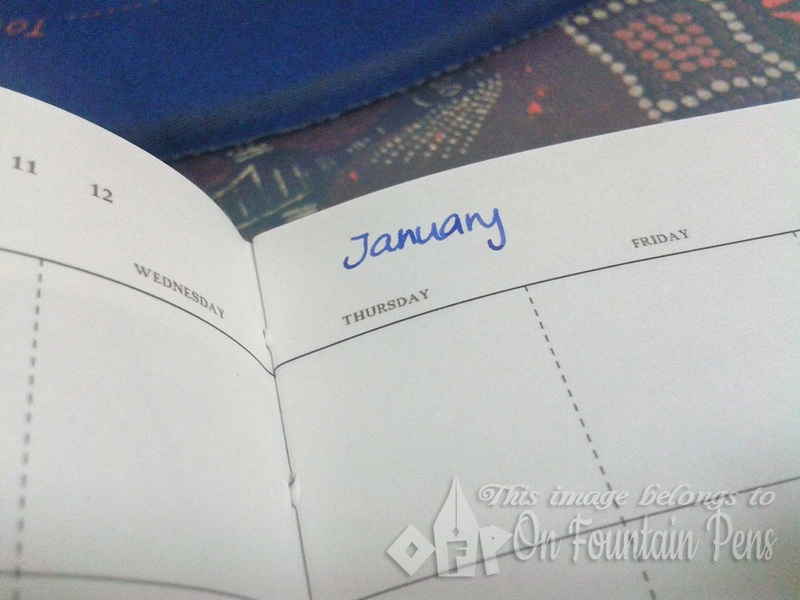 Remember the post I wrote about Le Petit Prince weekly scheduler? Well as a follow-up post I will announce that I successfully managed to exchange the notebook for another. 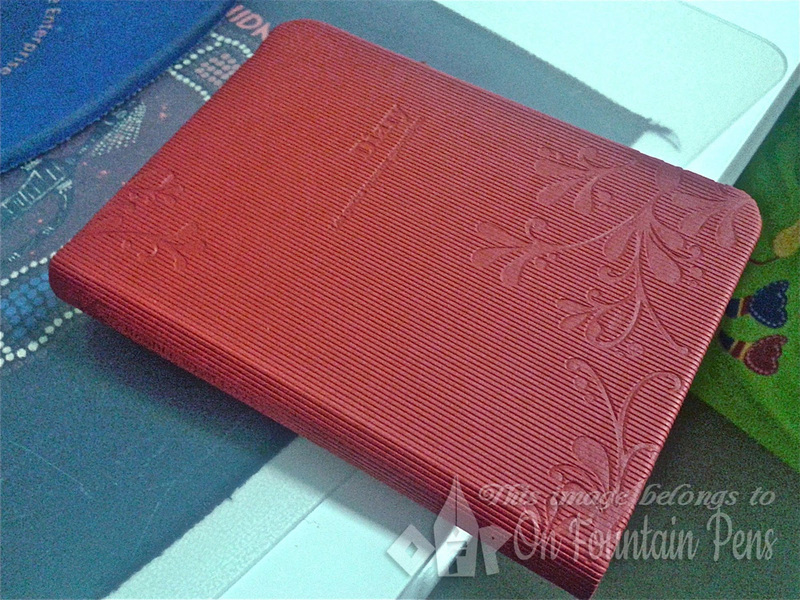 Instead of going “vintage” I decided to select a red-coloured diary. Okay, the diary is not entirely red (though that would be cool), it’s just the cover, a nice deep red. With the English word “Diary” and the French words “Les petits oiseaux gazouillent” (The little birds chirp). One thing I noticed about cheap notebooks that are printed with LANGUAGES in them is that they always seem to have spelling errors, grammatical errors, or simply didn’t make sense at all. At least this diary presents a CORRECT sentence in French on the cover page. Looking at the paper in the notebook I didn’t find it very attractive because on some pages the printing quality didn’t seem too good and unclear images were produced. I don’t know if it was meant to be this way or not. See, fountain pen, zero feathering! When I got home, curiosity got the better of me and I decided to write a tiny word on one of the pages just to test it out. Alas, turns out that 1) it doesn’t bleed through the page and 2) there is ZERO feathering! The ink doesn’t go through the paper. Just trust me. I don’t have a photo of the reverse side firstly because I forgot and secondly there is no point taking a pic of it since there is no marking there at all. I take back my words uttered in the Petit Prince notebook post, where I said I shouldn’t expect much for a cheap notebook, because this diary IS cheap AND fountain pen friendly! 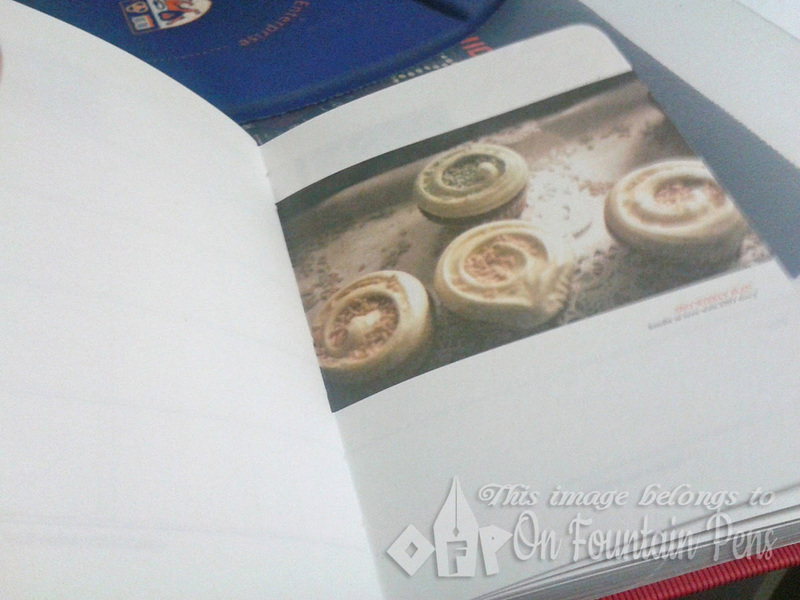 Price of notebook: 9.95 SGD, just one dollar more expensive than Le Petit Prince notebook. As messed-up me bought this notebook too late (in the sense that I had already decided upon another diary to be used in 2012), I will only get to use this little treasure in 2013. TWENTY-THIRTEEN. Goodness knows how old the diary and I would have become by then.